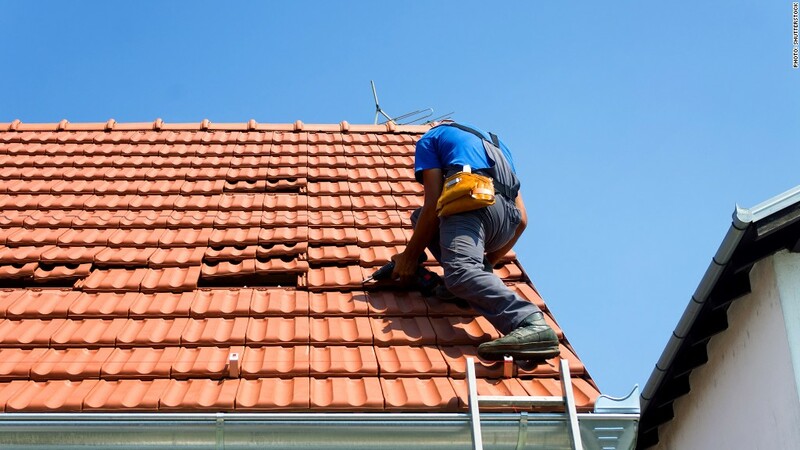 It's bad enough that a fall might kill you, but roofers face a whole host of other on-the-job hazards as well. Burns from volatile tars and chemicals, electrocution from contact with exposed power lines, and injuries from falling tiles and other roofing debris are just a few of the risks roofers face each day. The United Union of Roofers, Waterproofers & Allied Workers has worked to improve worker safety for years, according to John Barnhard, director of research and education. The group has placed a strong focus on training. And more protection is required, such as body harnesses, edge guards and rope grabs, which have also helped to reduce risk. As a result, fatalities have generally trended down since 2007, he said. Although there was a slight spike in 2012. That's when home construction started to bounce back and many new, inexperienced roofers came onto the job.